The St Johns Ambulance first aid badge. Awarded to Cadets who have passed the St Johns Ambulance First Aid Course. Black on white with black background and red surround. 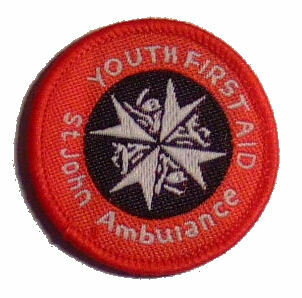 This youths first aid badge is a top quality badge made by our own factory. We have tried to produce this first aid badge at a very economical price.